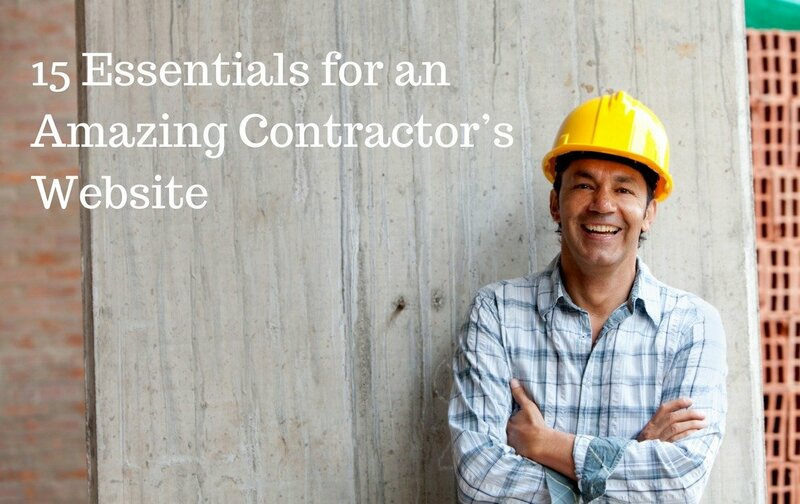 As a contractor, you know the importance of constructing a good contractor’s website. Creating a website for your business is not any different. If you have a quality website, you can rest assured that it will start generating business as soon as you finish reading this article. However, a lot goes into designing a great website, but a website that is just pretty, but doesn’t generate any incremental business and helps you generate more leads, is a useless investment. 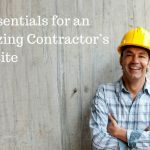 Here are some time-tested tips that can help you generate more business through leads that can be generated through your contractor’s website. 1. Your First Impression – Homepage! Think about the steps you take when you meet a client for the first time. When a visitor checks out your site, this is the first page they see. If it doesn’t engage them in 5 seconds, they move on to someplace else. Moral of the story – your site should be up in less than 4 seconds on my screen. When you meet someone, appearances also matter, and just like your attire, your website should also have a crisp, smart look so people can relate to it. 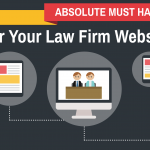 Will your website guide users to your goal of having them as your client? Your website should be designed in a manner which helps visitors reach what they are looking for in one or two clicks. The more time you give them to think, the more are your chances of losing them to competition. Smooth navigation of your website helps the user have a positive experience and that positivity translates into their attitude towards your business. Have clear labels and navigation aids to and from various pages. Help users find the information they need in less than 3 clicks. The bottom line is, don’t make them think much. If they want to contact you for an estimate quote, help them get to it fast rather than going round in circles. 3. Who is Your Ideal Customer? You need to answer this question before you go any further. If you speak to a customer in construction jargon, you will lose that person in 5 minutes. You need to get to the level of your customers. And that’s what your website should do too! Are you working solely with upper-middle-class households? What are the real estate rates in your area, what cars do they drive, how much are they willing to spend? Do they prefer quality over price? Check out some of the reviews on independent pages or social media- what are the pet peeves of these clients when it comes to contractors? Be as specific as possible, so your website could reflect what the customers want in a more productive manner. You are a contractor, and your services are like the services of a house doctor. My toddler refers to everyone who visits our home for any repair related work as a “Doctor”. So a plumber is “pipe doctor” The guy who helped with windows was “a window doctor” and so on. Most of these people who make living in my own home easy and a dream come true are there in my phone’s address book. BECAUSE these are kind of emergency numbers. So your contact details on your website should promote your phone number- prominently- at all places in case, your business caters to any of such “doctor-like” emergency categories. Ideally, your website should give out multiple ways to connect you – for example – email, contact number, an office address with a map, as well as a contact form where visitors can leave their details along with any queries/comments which they may have. Giving out your phone number and other details make your business appear more trustworthy. Even if a visitor doesn’t call you, you can rest assured it leaves them with a feeling that you are just a phone call away. Prominent places to display your phone numbers are top right or left corner of your website home page, it can also be displayed as a pop-up and a contact form or a tab leading to it can be added with all the relevant details on all pages. In a highly location specific industry like contractors, you must specify your location and areas you serve as clearly as possible. Your site should also carry your detailed office address. You must tell people where you are and where you serve. Make it as obvious and clear for your visitors as possible- For example, you can mention – “Middleton’s most trusted HVAC contractors” under the logo or your brand name. Mentioning these locations push your website up in local SEO and you can expect more people will contact you who are relevant to your business. Don’t forget to include these details on all content related to your website- for example- blogs, social media etc. 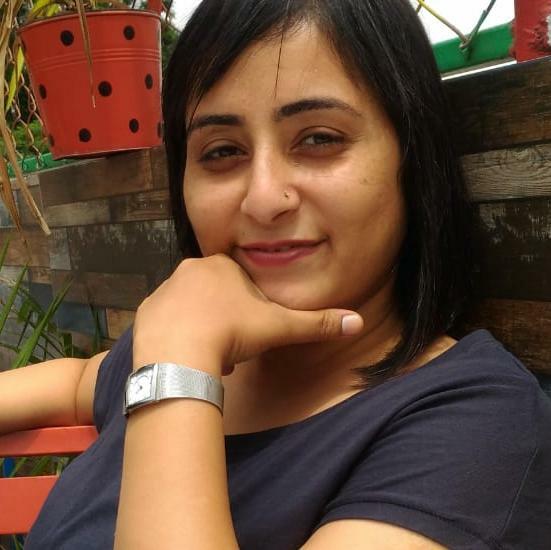 “Let’s connect and find out” the moment your visitors have this moment while visiting your website, it has served its purpose! What do you want your website visitors to do when they visit a particular page on your website? Do you want them to share your blog on social media? Do you want them to opt-in for the free quote that you are offering? Or is it simply an appointment you are looking for. Make sure you define your goal and work accordingly on CTA. You as the owner of the website have to show people “the next step” and give them a prominent link to take it. If you don’t have clear CTAs your message will get lost. Do you want new leads? Did you know that every month, more than 25,000 people search for the term “contractors near me” alone? The volume of traffic is huge & continuously growing. Top websites of contractors get bulk of this traffic & the leads that come out of it. Do you want a stunning website that is Search Engine optimized and will attract potential leads? Yes, I Need a Stunning Website! This feature helps you create a database of people who visited your website and were interested in your services. Make sure the contact form is not too long. You don’t want them to leave it in the middle and start browsing some other site. Contact form should be ideally on every page. In case that looks too much, you should provide a CTA/link which directs visitors to it and ty placing it strategically on all pages. With this feature, the lesser is better – Keep the form simple, asking for their name, email address, phone number and maybe about their budget with an open-ended text box for what work they want from you could be a good start. Talking about yourself, your team, with pictures and description makes you accessible and trustworthy. You will be there in your clients’ homes or job sites for weeks or months, it will be easier for visitors to know about you through your website. This way, they can trust you. It is also a great way of showcasing your team, boosting their morale. Flaunt your work experience, your accomplishments, certificates, affiliations, and awards in this one. A short, neat video about you, your team and your work could be a nice touch for today’s highly visual generation. You can show your passion for your job, your dedication to work that you undertake and can be more “relatable” in a friendly sort of way. Whether you are a commercial or residential contractor, everyone today wants references and feedback from your past clients. Including testimonials from customers or even industry partners is a great way to build trust. Walk with caution on this one though, don’t fake testimonials, and remember, these days with so many search engines and local directories providing a platform for unbiased reviews by real clients, it is very easy to detect if you are cooking it all up. No window dressing on this one please, you have to ensure your happy clients chirp about you on your website in a way that exudes trust. Testimonials with photos are good, video testimonials even better. Social media has truly rewritten the rules for conducting your business. Most visitors to your website will have come to know about you through social media. Having your business on social media, providing links to your social media accounts on your website, interacting with prospects and clients from time to time through your social media accounts – all this help you in building a better brand, reaching out to more people and establish yourself as a trustworthy contractor. Your website also gets to benefit with better SEO as most search engines give a lot of consideration to social mentions of your website to evaluate your rankings. You can think about your social presence on platforms like BBB, Angie’s List or Facebook and Instagram feed. Writing about the importance of being on social media made me thought of this one as the next big step. For your website. You will need photos, of your work, projects undertaken, before and after pics, and a lot more. Your social media accounts will need a regular feed. All your clients –perspective and present are part of a highly visual generation. We all love to see photos. Photos and videos can be a smart evidence of your completed projects, share your style. They are excellent CTA influencers. Quality photos on your website give you a huge competitive advantage over your competitors. As per research- More than 97% of users are using the internet to search their local businesses. You have the option to get a sales representative who works day and night for you: your website! Every day people are engaging more and more in online business than ever before. 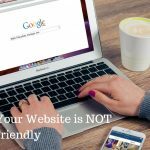 Having a “just okay” website design is simply not okay anymore! Did everything to read a website on your phone? If it’s a traditional website, you know the issues, they are slow to load and hard to read. Now consider someone having an emergency like a leaking pipe or a stuck garage door. They are more likely to check out for someone who can help them through their phone. A responsive web design will ensure you have a website that works well with all kinds of devices and display screens, from smartphones and desktops to tablets. It will also ensure you have better access to your clients. They can reach you when they need you, not the other way round. A mobile-friendly, simple to understand and easy to navigate website is what we are talking about. 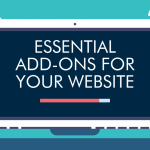 Make sure your website conforms to these standards. A website should be quick to load. Consider 4 seconds as your site’s benchmark. A delay of 1 second in loading means 7% reduction in conversions. There are a couple of things on which your site’s speed depends. Primary being the coding languages it is built on and the plug-ins you are running on it. It also depends on your hosting provider. Having a thorough discussion with your designer and developer will be a good place to start for understanding these issues. Are you losing out on local leads to your competition? If you are losing business to your competition, it is quite likely that they are doing a much better job at optimizing their website for search engines. Not only will they have a website that is professional & customer friendly, but chances are also that they might have optimized their online presence for local searches. 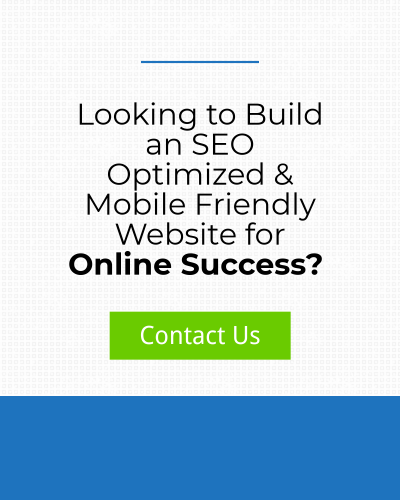 Want to have a beautiful website that is optimized for local searches? Most search engines reward original, fresh content. You can start with creating a few posts about your business, and go on to explain various projects you undertook as case studies, tips on doing renovations, industry insights, review of a new product or material in the market. You can introduce a new member to your team, even ask satisfied clients to write a blog about their experience with you. Interesting, useful and SEO friendly content with the right keywords will help improve your rankings. Make sure you keep updating blogs regularly and don’t forget to share them on various social media platforms and other directories. Remember to update the content from time to time, both search engines and your visitors want your site to be regularly updated. Start with doing something new at least once every month. CRM is essentially a secretary for your website. With an integrated CRM tool on your site, you can ensure no one goes away unnoticed from your website. An effective CRM ensures that all the prospects are targeted through emails, call lists are generated for you or your team to follow up. Having a good CRM means giving all your customers, existing as well as potential, a place in your business marketing system. Reminding a 5-year-old client about drywall inspection and offering to check out the other areas of the house needing renovation could be a great idea. We at Website KLUB know that there is no “one-size-fits-all” approach that we can apply to website designing for any business. Contractor business is no different. The steps mentioned above essential, but this list is certainly not exhaustive. 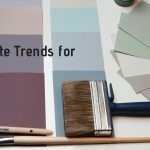 We have some more research and ideas lined up for the contractors, gleaned from our interactions with various contractors while helping them build their websites. The idea behind sharing these 15 is that these tips actually work, when implemented properly and strategically, they will help you grow your business. Making sure your contractor’s business gets the best from online presence is what we at Website KLUB aspire for.